← Ducklings, Quail, and a Greenhouse, Oh My! The garden is growing really well. This is probably my favorite time of year among the ornamentals. 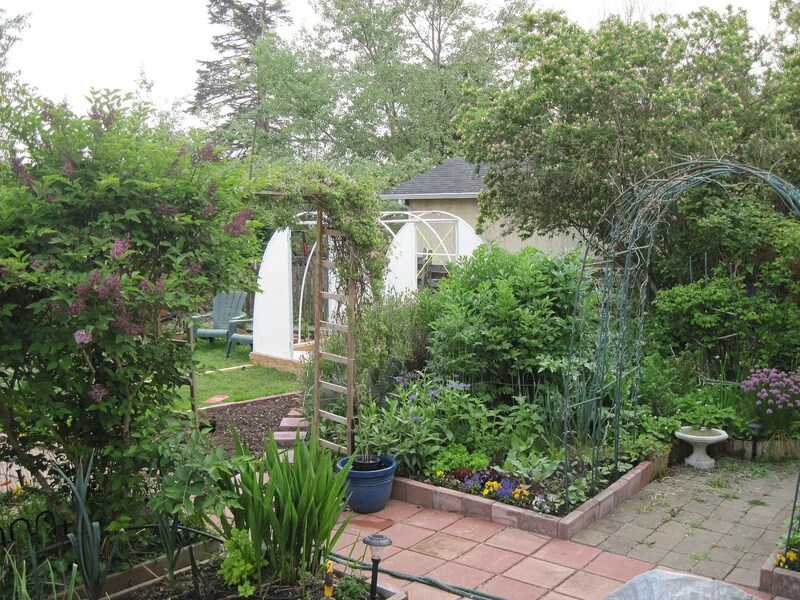 Notice the new greenhouse – still a work in progress, but slowly getting built. Everything in it should grow extremely well, after I made a blood sacrifice Monday while working on it. Yes, my knife slipped, and I made a nasty cut on my knuckle. I could probably have gotten a stitch or two, but since I don’t care about scarring, I didn’t bother going in. It’s healing nicely, but it’s awkward working outside without the use of my left forefinger! Not to mention typing. I’m hoping we get the greenhouse finished soon, because I have three cold frames and some indoor growlights bursting at the seams with little tomatoes, squashes, and melons! 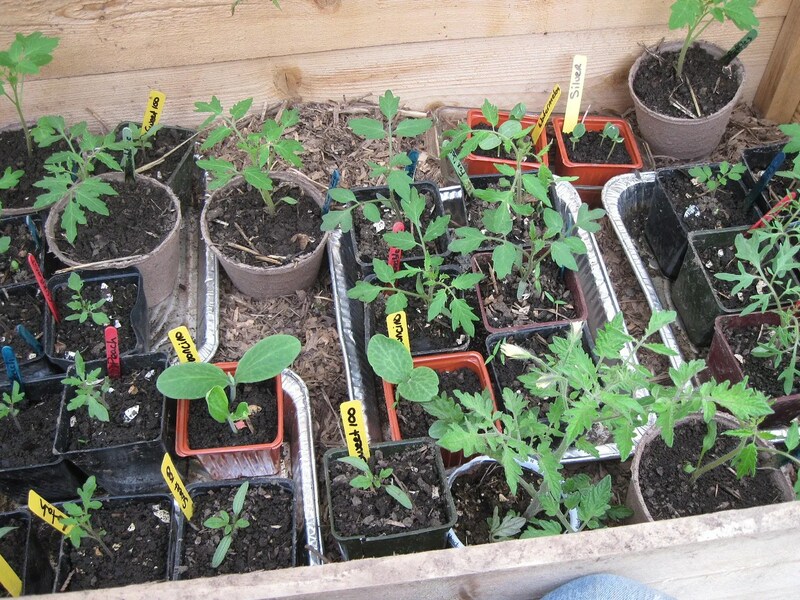 The melons and a few of the tomatoes will go into the greenhouse and stay there; the rest just need a bigger place to grow while they wait for warmer weather. My potatoes-in-trash-cans are growing nicely. 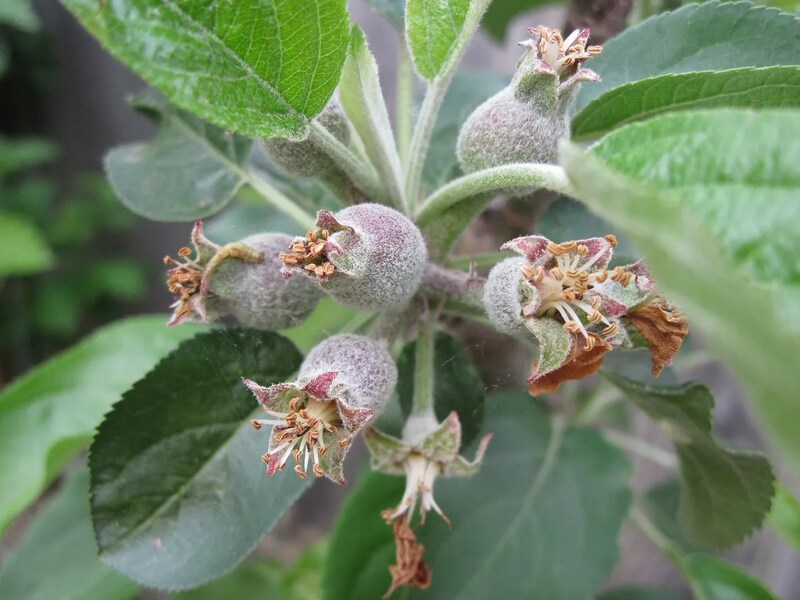 And I have itty bitty apples on the columnar trees I planted. First apples! Squee! The grapes have TONS of fruit on them. It’s going to be a bumper year. 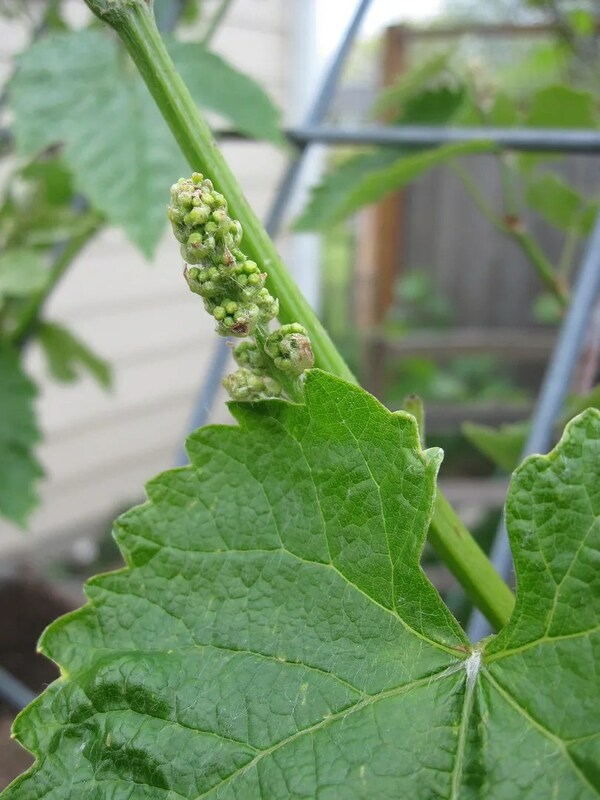 I just put the vines in last year, so this is the first year for fruit. 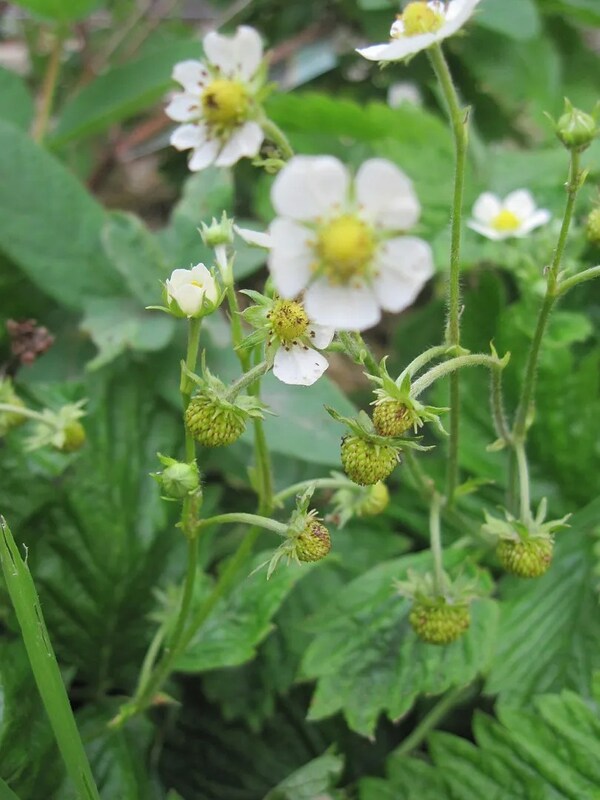 The strawberries are also going to town, setting fruit. Especially the alpines. 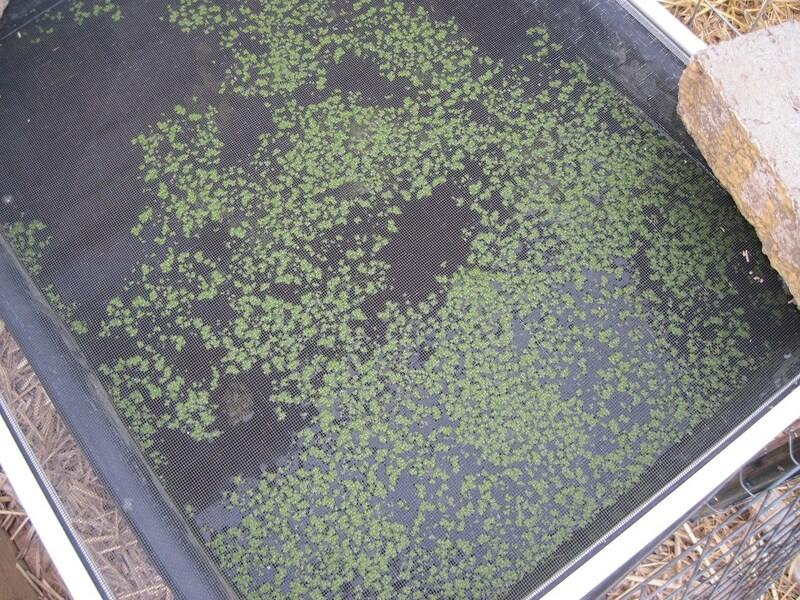 Something new I just started is growing duckweed. All you need is water and sun, and it reproduces like mad. It’s terrifically good for ducks – and other poultry. I want to add it regularly to the duck pond once it gets going, and also skim some off for the quail. The bees are so cool. I love sitting right next to the hive and watching them going about their business. They fly around me and investigate me, but are not aggressive at all. I try to spend a few minutes with them every day. They say bees can recognize humans, and I’m trying to make them realize that I mean them no harm. And the ducklings are beside themselves with excitement! They have officially moved outside into their Big Duck pen! I still have their Ecoglow Brooder out with them for a heat source, but they didn’t even get under it once all day. They are such sweet little girls. And tomorrow we are picking up Josie’s new babies at the feed store. She’s been very patiently waiting for them, growling whenever I disturb her in the nestbox. I’ll try to get a video of the moment of first introduction. It’s such a magic moment. 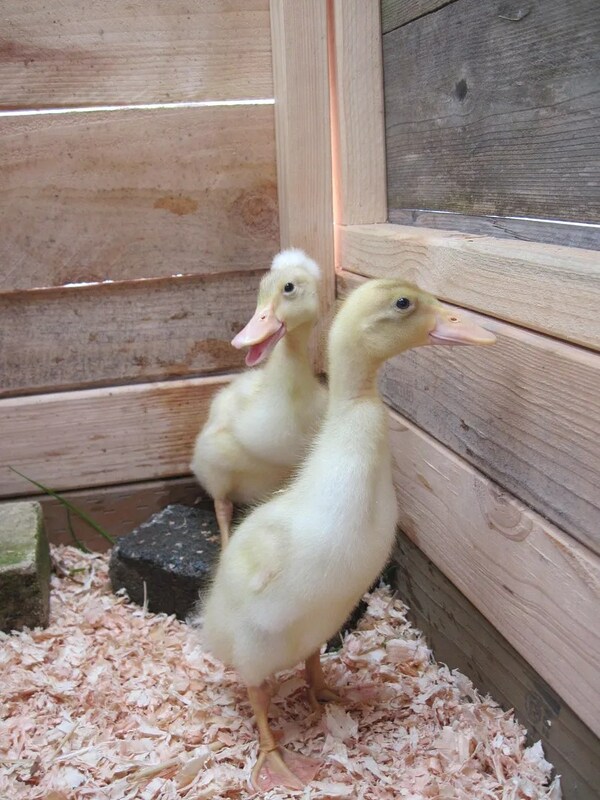 This entry was posted in Bees, chickens, ducks, Gardening and tagged broody hen, ducklings, Gardening, honeybees, indian runner ducks, new hive. Bookmark the permalink. Those ducklings have such zest for life! I love how happy they are. We’re adding another duckling this weekend, too. i tried ….growing potatoes in a wire tower last year………..but did not have much yield………….just a little more than what I started with………..I wonder if the fact that the trash cans have solid sides is helpful? I also wonder when you add soil to them and how much…………any info about your potato growing ……..I am all ears! on another note………….I love reading your posts! Thanks, Lisa! When I first plant the potatoes, I just put in a little soil. Then, as they grow green leaves, I keep burying the stems up the tops with soil until I reach the tops of the cans. Last year I tried this, only I filled the cans with straw because I had heard that worked as well as dirt. Well…it didn’t…for me. I had quite a few potatoes in the bottom dirt, but none at all in the straw. So this year is an experiment as well. I’ll keep you posted! I may try growing potatoes in trash cans over the winter. Here in Central Florida, the black plastic may get too hot in the summer sun. I have a tiny amount of space around my mobile home. I want to make full use of all of it. Isn’t it precious how animals behave? Your little hen is ready for babies to love. and the duckings are adorable, I can’t wait to watch them grow. Do you have any predators you have to watch out for? We have bears and cats and even the occasional coyote. It’s worth a try. 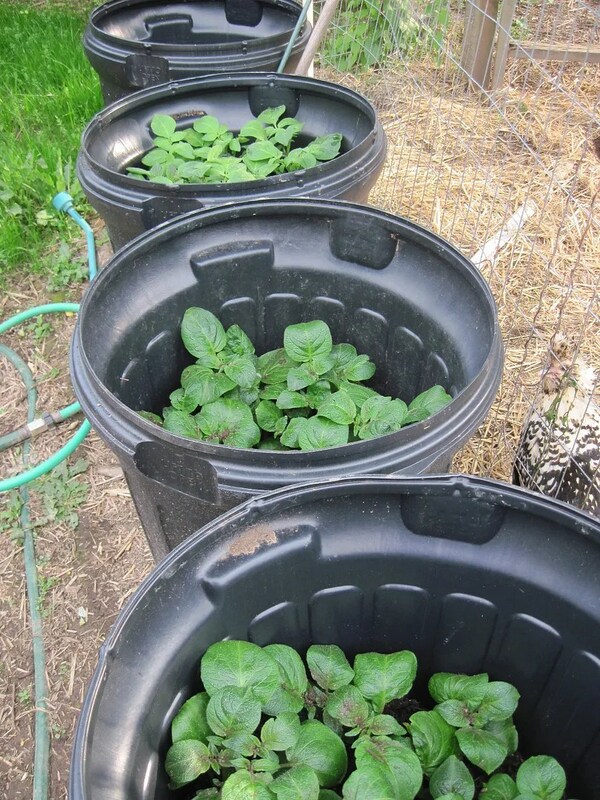 If the trash can gets too hot, you could also try growing them in laundry baskets, or wire/wood frames. You’d still have the “upwards” space-saving, but less heat and more ventilation. 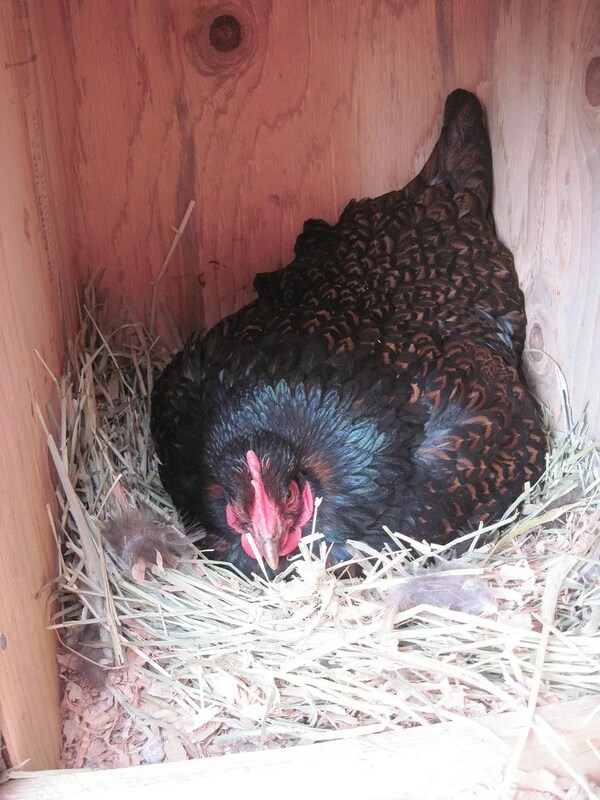 In a bit, I’ll be posting about the broody hen and her new babies. They are SO cute! I’m pretty suburban, so while I have heard of the occasional larger predator making its way into nearby neighborhoods, I mostly have smaller things like raccoons and domestic cats. I’ve lost a few ducks in the past to raccoons.